The Vine CLOSED 37533 Niles Blvd., (510) 792-0112. L W-Sat, D W-Sun, SunBr; $$. This casual neighborhood spot is situated amid a row of antique shops. It’s a great spot for lunch, with a back patio that is perfect on a warm day. I enjoyed a “grown-up grilled sammy” made with hefty slices of nitrate-free Niman Ranch ham, melted brie, and orange marmalade that came with a side of green salad and garlic fries plus curried ketchup. I can’t wait to return to try the sweet potato tater-tots, the cornmeal fried chicken, and the catfish. More things to do in Fremont. Fritz Underground Winery 24691 Dutcher Creek Rd./Dry Creek Ridge Rd., (800) 418-9463, (707) 894-3389. Daily 10:30-4:30; tour by appt. on Sat-Sun. This three-tier facility practices gravity-flow winemaking. Do some tasting—the buttery RRV Chardonnay is popular and the everyday RRV Pinot Noir award-winning—and consider a pinic at one of the tables overlooking the scenic view of the property’s pond and Dry Creek Valley. On the weekend, you can add on a tour of the underground caves. Paysanne 14111 Hwy. 128, (707) 937-1831. For the yummiest ice cream in town, just look for the sweet little shop with an old-time round gas pump in front. It’s hard to beat the Straus’ organic vanilla, but other flavors do vie. You find cookies and popsicles and lollies, too. Pea Soup Andersen’s 12411 S. Hwy. 33, exit 407, (209) 826-1685. Designed to resemble a Swiss chalet, this restaurant is famous for its thick pea soup. The “traveler’s special” includes a bottomless bowl of soup plus housemade breads (including a dense pumpernickel) and a thick and creamy milkshake. More substantial fare is also available. Children get their own menu and a pea-green crayon to color it with. The gift shop sells the famous house soup by the can or case, fresh from the pea soup factory in Stockton. More stops on Highway 5. Gualala Arts Center 46501 Gualala Rd., (707) 884-1138. Free. Located off a back road, this extraordinary art gallery and center is well hidden in a grove of redwoods. The environment-friendly gallery features high ceilings, tall windows with views of the redwoods, and slate floors. Inside, two main-floor galleries display changing shows; a clay studio is downstairs and an art library is upstairs. Outside, the nation’s only haiku trail—like its namesake poetry style, it is short and easy--leads past poems engraved into stones, and another trail leads to the river. Additionally, you’ll find a sculpture garden and a picnic area with pizza oven. On the third weekend in August, the annual Art in the Redwoods festival—which has been happening since 1961--occurs to celebrate art, food, and gardens. 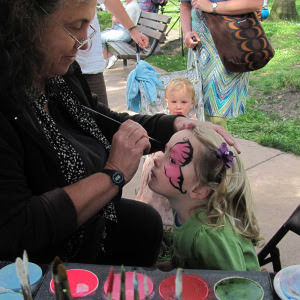 Arts vendor booths, an outdoor stage, and picnics are part of the fun. Things to do in Mendocino. True Sake 560 Hayes St./Laguna, in Hayes Valley, (415) 355-955. America’s first sake store, this is also the first dedicated sake store outside of Japan and sells only imported Japanese sakes. Sake bottles can be beautiful so you can enjoy just a browse here, too. More than 220 sakes are stocked, and the staff is trained and ready to answer your questions. Mishka’s Cafe 610 2nd St./E St., downtown, (530) 759-0811. M-F 7-11, Sat-Sun 8-11; $. This atmospheric coffeehouse roasts only organic fair trade coffee beans in its very large roaster. Smoothies, enticing pastries, and free Wi-Fi are also available. Moonstone Bistro 3425 Placer St., in Placer Heights Shopping Center, (530) 241.3663. Reservations taken. Located about 10 minutes off I-5, this well-designed restaurant has a calming interior. The food is locally sourced, and you are given a list of who supplies what. A full bar provides a good selection of wine as well as craft beer on tap and in bottles. But the food is the main draw. The Goat Tostada was sold out by the time we got here a 1:15 p.m. on a weekday, but the Moonstone Burger and Teriyaki Mushroom Swiss Burger were both excellent. The pommes frites are seasoned with herbs and served in a small paper bag. I saw the Tomatillo Verde go by and it looked delicious. No children were present, but I did see a booster chair. More blog posts about Redding. Comal 2020 Shattuck Ave./University Ave., downtown, (510) 926-6300. D daily; $$. Reservations at 5:30 only. Several spacious seating areas welcome diners in this vast venue—the front bar, the middle dining area with wood booths, and the back open-air covered dining area and beer garden with picnic tables. Inside, industrial decor and high ceilings blend with big art by local artists. And though a fuss has been made about the Meyer Sound system designed by this renowned audio engineering company headquartered in Berkeley, on a recent roaring Saturday night I barely heard any music. Though drink options here include draft beers galore and flights with selections from the library of Tequila and Mezcal (shots are served with house-made sangrita), cocktails are king. Made with hibiscus syrup and served in a stemmed margarita glass with a cacao-dusted rim, the pretty, pink, and peppery Jack Satan is hard to beat. But don’t overlook the addictive Comal Swizzle that is a sublime tropical combination of Tequila, pineapple, passion fruit, and lime. Many items on the Mexican menu emphasizing Oaxacan cuisine are designed for sharing, especially the Platos Fuertes section featuring a very popular spit-roasted whole brined chicken and a wood-grilled whole fish. For an appetizer the guacamole is primo, but consider also a refreshing stack of jicama and cucumber sprinkled with chili powder and lime, or Sikil pak—a guacamole alternative made with a mix of grilled eggplant and habanero chiles topped with toasted pumpkin seeds. Specialties include a variety of mole dishes such as beef and pork albondigas in a smoky adobo sauce with ancho chiles, and enchiladas with pork or turkey filling topped with clovey mole coloradito. More popular dishes include lamb barbacoa quesadillas and rock cod tacos with avocado aioli. Dessert brings on a satisfying arroz con leche, topped perhaps with fresh cherries and toasted pistachios. Live Oak Park Fair Free. Over 43 years, this fair has evolved into a first-rate juried crafts and fine art show, with live entertainment and some food booths. It runs this weekend, June 8 and 9, from 10 a.m. to 6 p.m. A free shuttle will leave every half hour from the North Berkeley BART Station. Live Oak Park itself--with its mature shade trees, rolling lawns, and meandering creek--is inviting to visit any time. More annual events in Northern California. Aggie Inn 245 First St., 2 blks. from downtown, (530) 756-0352. 2 stories; 33 rooms. Fitness room. Continental breakfast. No pets. Located at the edge of downtown and adjacent to the campus, this simple-but-pleasant lodging provides a few extras such as cookies, oranges, and apples in the lobby and microwaves in guest rooms. Several of the rooms have 20-foot-plus ceilings, and six cottage duplex units provide extra space and a private patio. Breakfast includes make-your-own waffles and an outdoor seating option. A path across the street leads through the university’s arboretum.